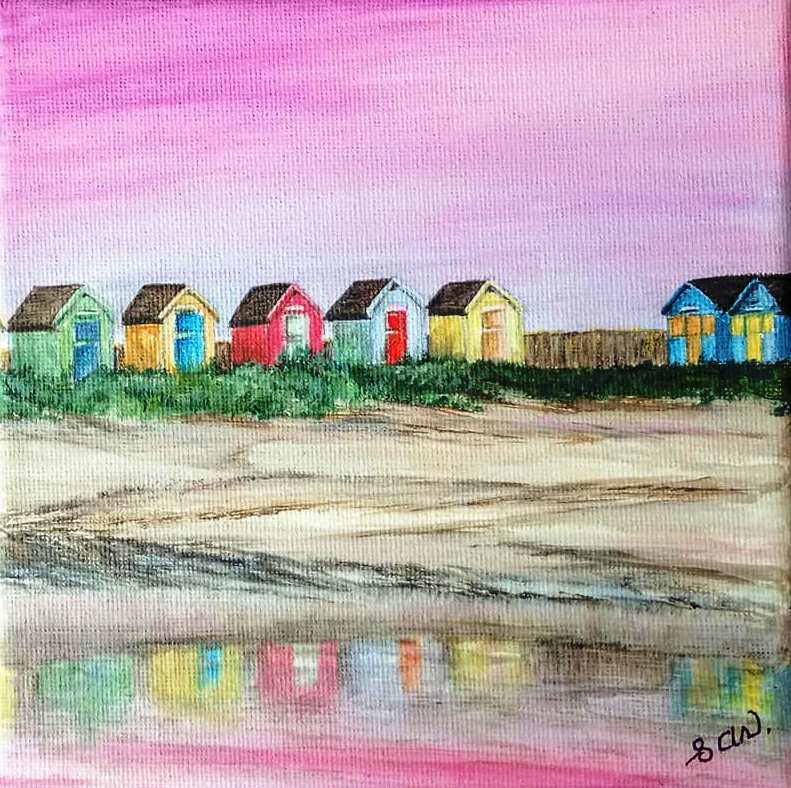 A mini Art on canvas in acrylic,, varnished for a professional finish, in a natural wood box frame. 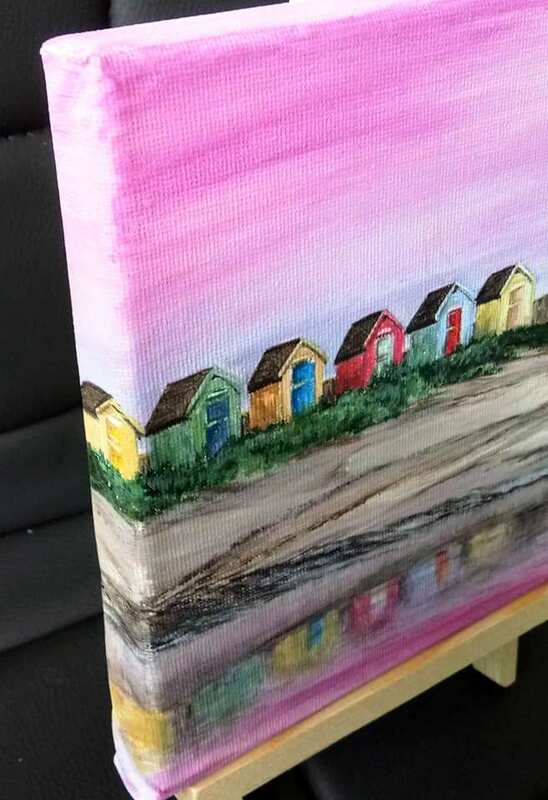 Showing the beach huts in Amble, Northumberland, a lovely place to visit any time of the year. The art size is 7.75" square (19cm),small enough to fit in any room, but effective enough to be noticed by all. These make a wonderful gift idea or for anyone who wants to own an original piece of art but has limited space.